Let Us Fill The Air With Our Language! 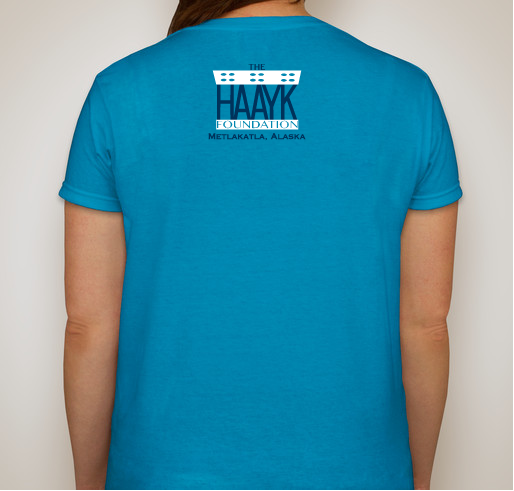 Support the Haayk Foundation in our efforts to save Sm'algyax! 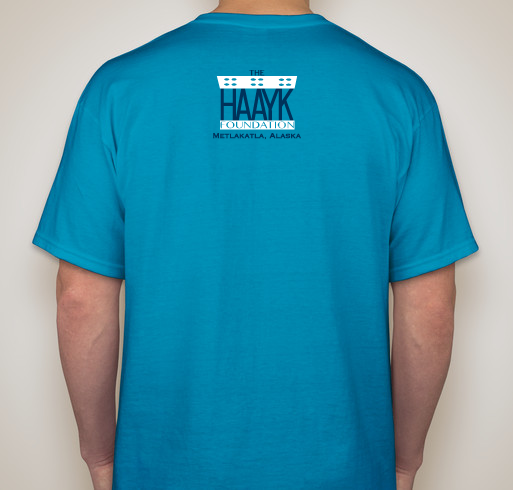 All funds raised will be paid directly to The Haayk Foundation for helping to save Sm'algyax. 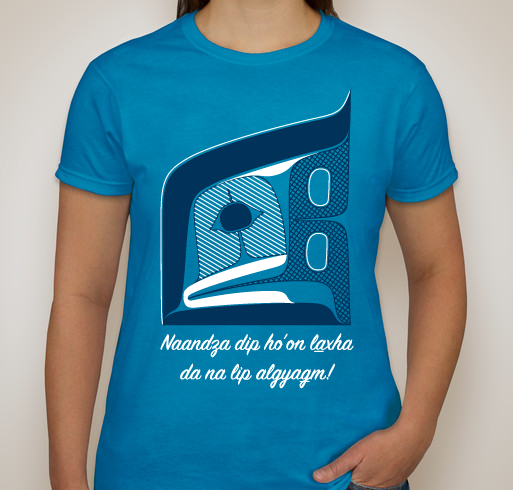 The Haayk Foundation is excited to unveil a new design which weaves together traditional Tsimshian formline and language. 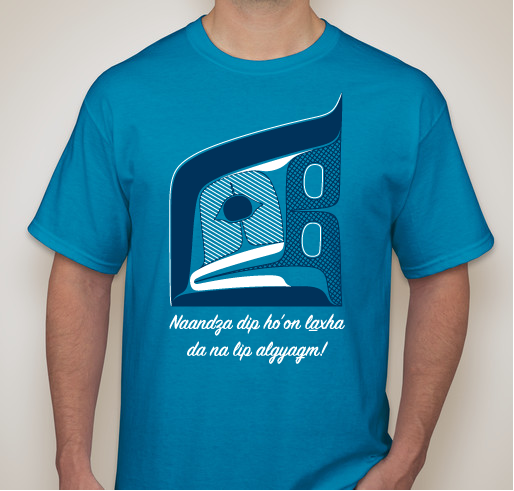 On a sapphire blue background, David Robert Boxley has created a stylized face singing the lyrics, "Naandza dip ho'on laxha da na lip algyagm," which comes from the song, We Can Speak For Ourselves, written by Gavin Hudson, and means, “let us fill the air with our own language!” Taken together, this reprepresents our shared efforts to move beyond simply preserving our language, to actually speaking and singing as our beloved ancestors did. All the proceeds from this online fundraiser will go toward fulfilling our mission: “To rapidly cultivate new fluent speakers of Sm’algya̱x and to produce learning resources for any and all interested learners.” We appreciate your continued support. Dm aap’ag̱m goo la loom da na lip algya̱g̱m. We will remember what you've done for our language. Wayi wah! 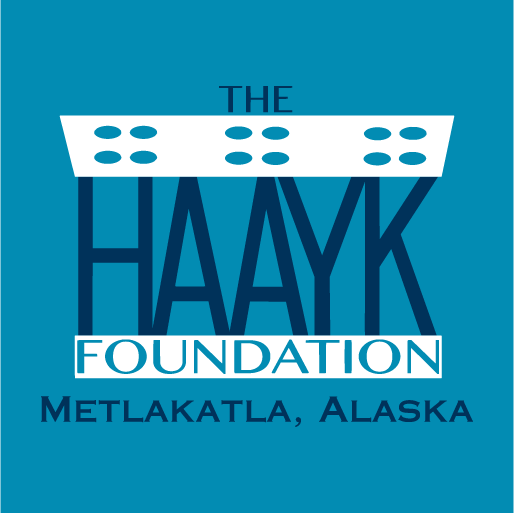 The Haayk Foundation is a nonprofit organization located in Metlakatla, Alaska, whose primary goal is to save Sm'algya̱x, the endangered language of the Tsimshian people by creating a new generation of fluent speakers. Our funding comes from private donors and independent fundraising efforts.Those funds go toward providing a range of cultural and educational activities, including free Sm'algya̱x language classes, talking circles, community events and assisting other learners who share our goals. Our inspiration comes from the pioneers of the Metlakatla on Annette Island, Alaska who set aside their differences, pulled together, and against many hardships and setbacks, succeeded in creating a new Ts'msyen community in Alaska. 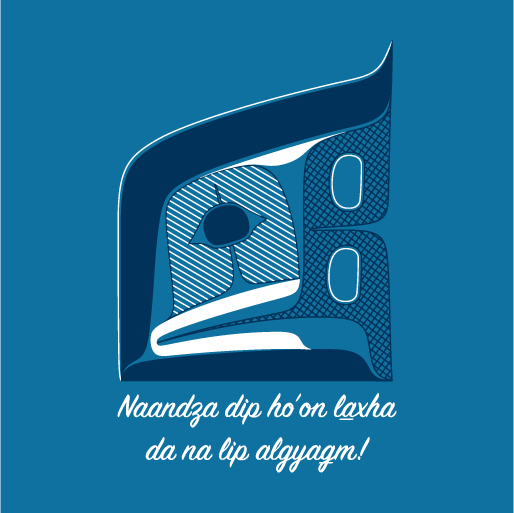 We will continue that pioneering spirit in an effort to preserve, revitalize, and promote our tribe's language, cultural history, and practices so that the “Haayk”, or “Spirit”, of the Tsimshian will shine brightly for generations to come. I started learning Smalgyax back in 1992. Was told I should stop speaking for my kids. it was confusing them in school. I want our language back. I want to learn again. Language and culture are linked, each supports the other. Language is at the heart of culture and it was the focus of attack by the colonial powers. Supporting language survival is vital. I feel learning our beautiful language is important & needs to make many aware of the instruction going on. Important to try and save our language! Share Why You Support "Let Us Fill The Air With Our Language!"